Rick Watson is legislative counsel for ABC. ABC is the voice of commercial construction. It’s a trade association of merit-shop, commercial and industrial contractors. ABC represents every aspect of commercial construction from general contractors to subcontractors and affiliated industries. It’s SL7 Communications’ pleasure to include Rick in our SL7 Interview series. Rick discusses ABC’s role in coalitions, how his members are faring in today’s economy and the key legislative issues heading into 2015. SLEVIN: WHAT IS ABC, WHO ARE YOUR MEMBERS AND WHAT’S THE MISSION OF YOUR ASSOCIATION? WATSON: ABC is a state association of 5 chapters with over 2000 corporate members employing more than 100,000 individuals in Florida. ABC counts among its members every aspect of commercial construction from general contractors to subcontractors to suppliers and affiliated groups such as construction attorneys, insurance agents and accountants. Grassroots lobbying is an integral part of any legislative advocacy effort. ABC members stay in contact with decision makers. The grassroots effort is definitely year round. SLEVIN: WHAT ARE THE LEGISLATIVE AND REGULATORY ISSUES THAT ABC HAS BEEN PROMOTING AND FIGHTING AGAINST OVER THE YEARS? WATSON: ABC supports free enterprise, no tax increases and reasonable regulation. ABC is also a trainer for skilled construction workers and has the largest apprenticeship training programs in Florida. ABC is always involved in workers compensation, construction training and building code issues. SLEVIN: IT SEEMS THAT WHENEVER A BUSINESS TRADE FORGES A COALITION ON TORT REFORM, TAX REFORMS, WORKERS’ COMP, WAGES ETC., ABC IS ONE OF THE FIRST ASSOCIATIONS CALLED UPON TO JOIN. WHY DO YOU THINK THAT IS? WATSON: ABC is an active coalition member because of an extensive grassroots effort. Through the years, ABC has developed a key contact program that pairs ABC members with legislators. In addition to 9 lobbyists in Tallahassee, ABC has over 15,000 contacts in its distribution list which can be mobilized on priority issues. SLEVIN: ARE YOUR MEMBERS SEEING THE UPTICKS IN THE ECONOMY? IF SO, WHERE DO YOU SEE IN THE STATE THE BEST IMPROVEMENTS AND WHERE ARE DO SEE IT STILL LAGGING? WATSON: Yes, the economy is picking up slightly. Some areas of the state, such as Southeast Florida, are seeing increased commercial construction. Heavily populated urban counties are seeing upticks in the economy, medium sized counties not as much. SLEVIN: GRASSROOTS LOBBYING (MOBILIZING THOUGHT LEADERS TO ADVOCATE FROM THE HOME DISTRICTS) IS A STAPLE IN ANY EFFECTIVE LEGISLATIVE CAMPAIGN. HOW VALUABLE IS GRASSROOTS LOBBYING IN ACHIEVING YOUR LEGISLATIVE GOALS? AND DOES GRASSROOTS ADVOCACY STOP WHEN SESSION ENDS? WATSON: Grassroots lobbying is an integral part of any legislative advocacy effort. ABC members meet with legislators prior to the session to discuss ABC priority issues and follows up with the legislators after the Session to debrief them. As agency issues arise during the year, ABC members stay in contact with decision makers. The grassroots effort is definitely year round. SLEVIN: HOW DID YOU GET INTO LOBBYING AND POLITICAL CAMPAIGNS? WATSON: I practiced law in Panama City and got involved in some political campaigns. I came over to Tallahassee to work for Insurance Commissioner Bill Gunter during the Session of 1983, ostensibly for two months. I found I really enjoyed lobbying. Commissioner Gunter asked me to head up his legislative program and I served as Deputy Chief of Staff for the insurance department for a couple of years. Since 1986, I have been a contract lobbyist primarily representing non-union construction interests. SLEVIN: YOU’RE CO-CHAIR OF A TALLAHASSEE GROUP CALLED THE FLORIDA CENTER-RIGHT COALITION, WHICH I’VE BEEN A MEMBER FOR YEARS. IT MEETS MORE THAN ONCE A MONTH AND WEEKLY DURING SESSION. IT’S A GREAT FORUM OF EXCHANGE OF IDEAS AND GAINING KEY POLITICAL INSIGHTS AMONG LIKEMINDED THOUGHT LEADERS. HOW DID YOU COME TO THE DECISION TO FORM THE COALITION AND HOW DOES IT HELP CONTRIBUTE TO PASSING QUALITY PUBLIC POLICY IN FLORIDA? WATSON: The Florida Center Right Coalition is modeled after the Wednesday Meeting chaired by Grover Norquist, who is president of Americans for Tax Reform. The Wednesday meeting in DC began in 1993 as a group fighting Hilary Care. The purpose of the group in DC is to bring all members of the Center/Right together, to brief each other on issues each member is pursuing. The FL Center/Right group has been meeting for 11 years. There are similar meetings in 49 states and 15 foreign countries. The Florida Center/Right group brings together business and social conservatives, think tanks and political activists to share ideas and strategy. SLEVIN: WHAT ARE THE LEGISLATIVE ISSUES FOR ABC GOING INTO 2015? WATSON: ABC has five issues next session: 1) A Pubic Private Partnership bill which adopts the recommendations of the PPP Task Force. 2) Decrease the Statute of Repose to seven years which is the national average for construction tort claims. 3) Promote the Fair Competition Bill which prohibits local geographic price preferences when state funds are used. 4) Promote and expand construction worker training. 5) Streamline and simplify Building Permits and Building code. Thank you Rick for sharing your time with my readers. Patrick Slevin heads SL7 Communications, an integrated public relations consulting firm. 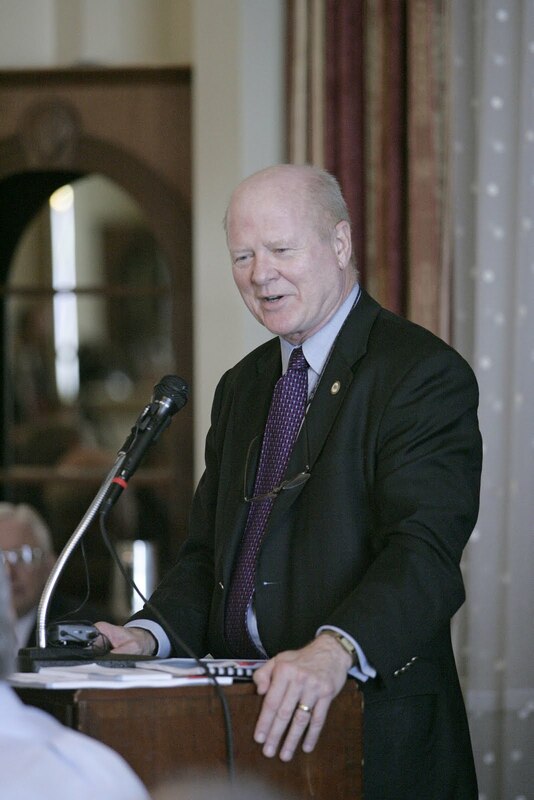 Over the last two-decades, Patrick has successfully engaged stakeholders as a Florida mayor, Fortune 500 corporate manager, national association regional director and international agency executive. His unique and diversified experience in political, corporate, government and agency communications offers clients a greater degree of efficacy in strategic counsel and campaign performance. He has developed and executed strategies, corporate campaigns and grassroots operations advancing the bottom line interests of clients in markets across the United States. Patrick can be reached for a confidential inquiry at 850.597.0423 or email pslevin68@gmail.com.